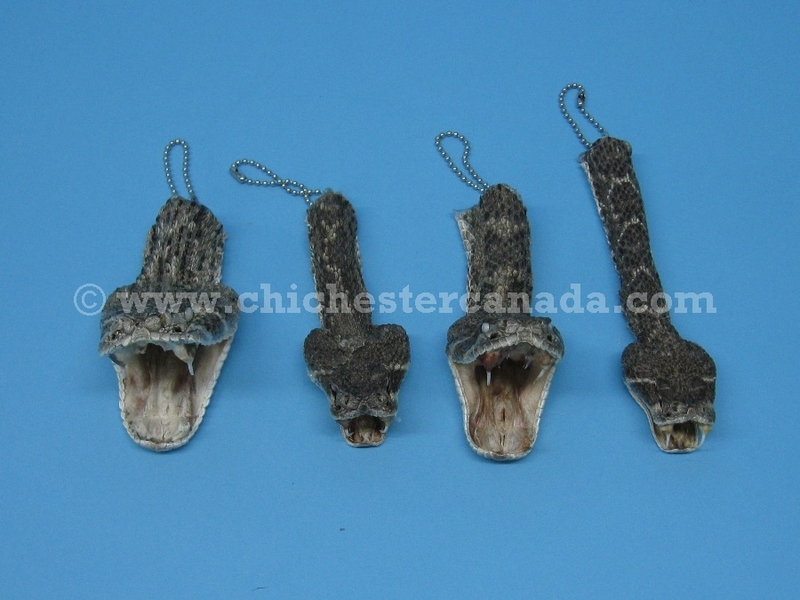 These are real Texas Western diamondback rattlesnakes heads and rattles that have been made into keychains. Because these are natural products, sizes and lengths will vary from keychain to keychain. 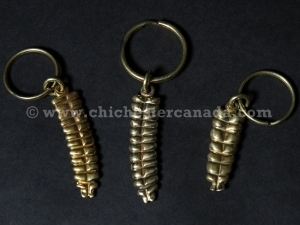 See below for more information on each keychain. 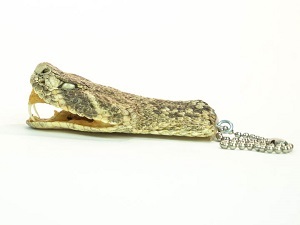 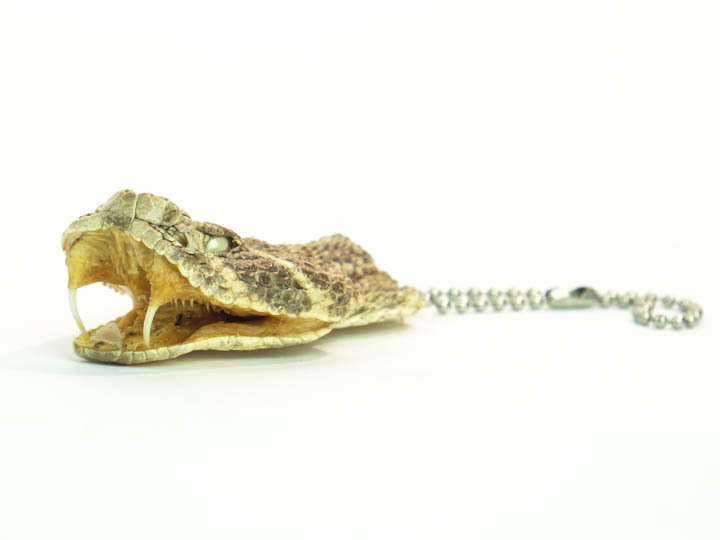 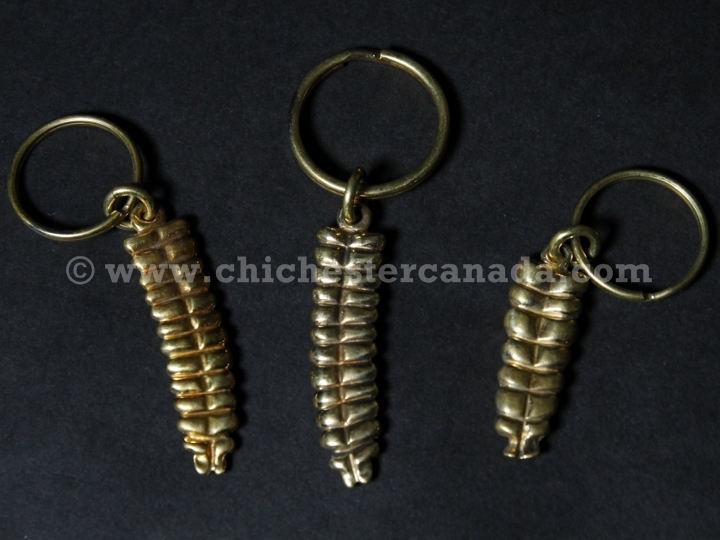 We also carry Brass Rattlesnake Keychains. 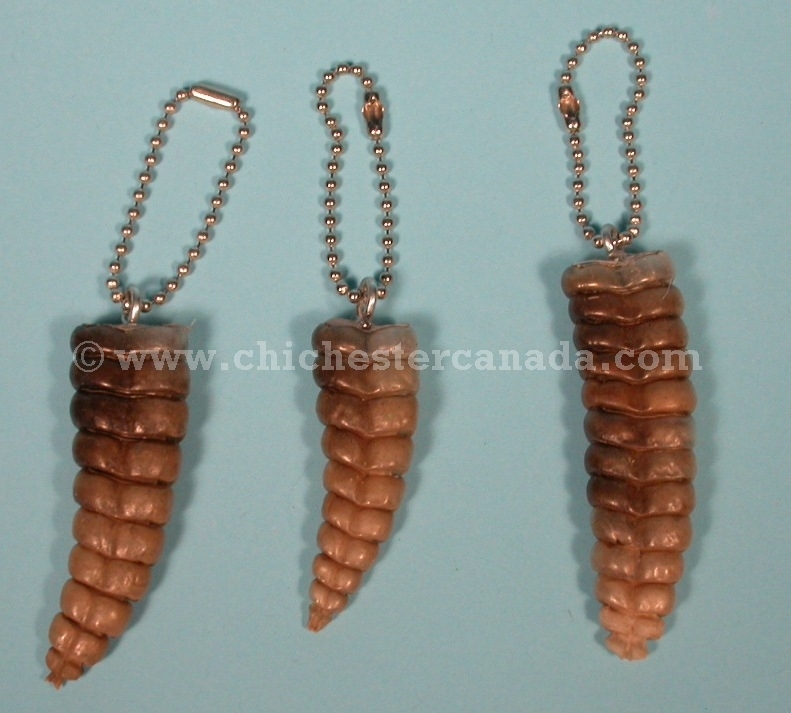 They are approximately 2.5" to 3.5" long by 1" to 1.25" wide, and has a height of 0.5" to 0.75". 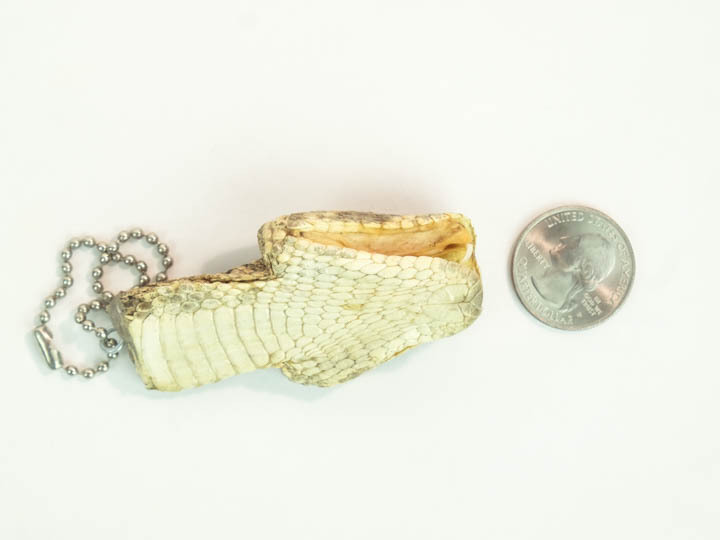 Sizes will vary and may be slightly larger or smaller. 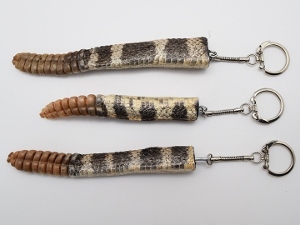 They are approximately 2.5” to 4.5" long, 1" to 2” wide, and 1.25" to 2” high. 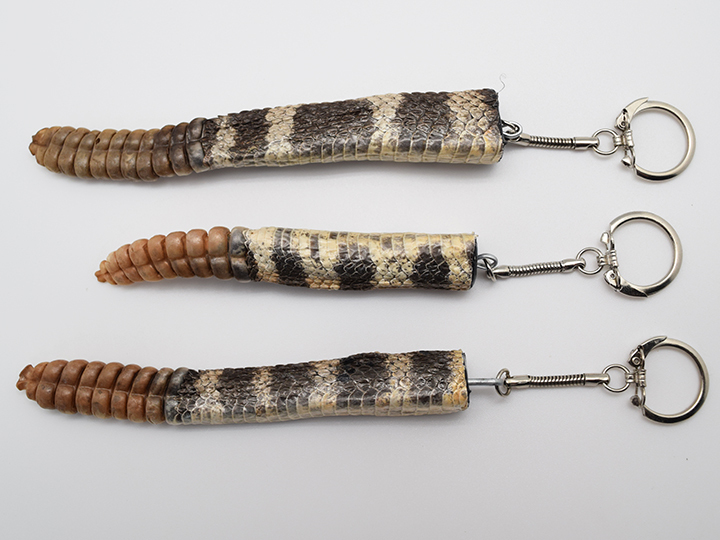 Rattle lengths can range from 2" to 2.5" long. 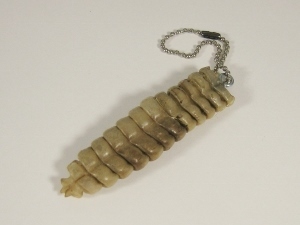 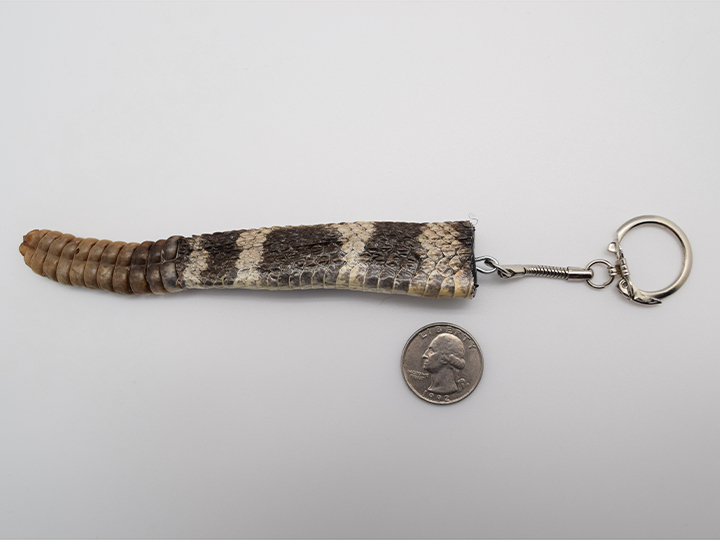 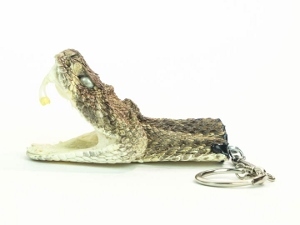 This keychain is made out of a rattlesnake rattle measuring 2.5" to 3.5" long and less than 1" wide. 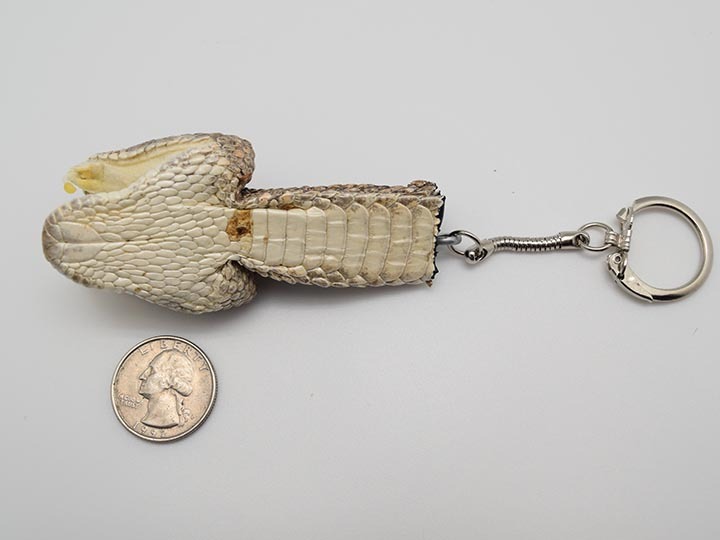 It is attached to a leather thong looped around a metal ring. 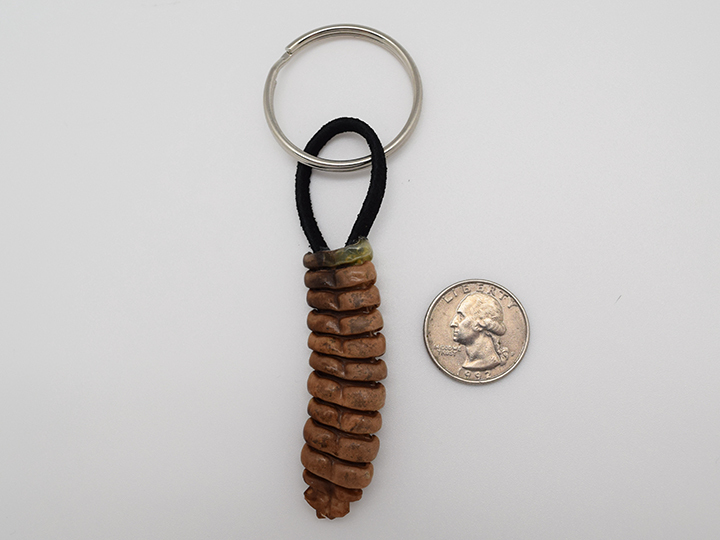 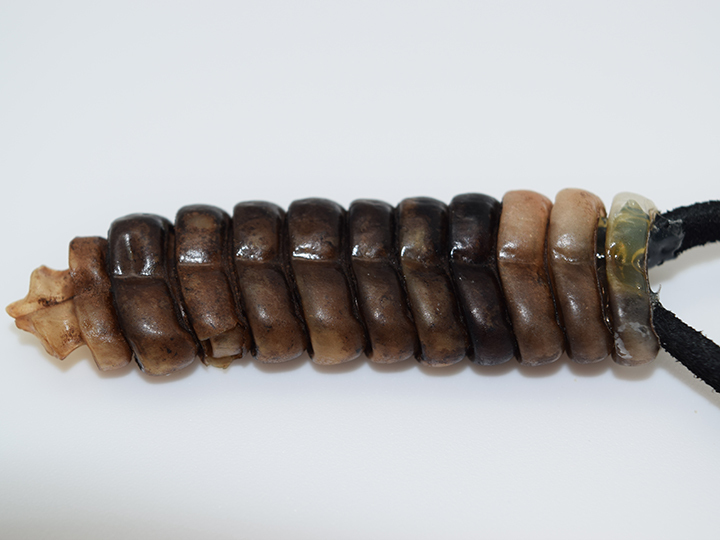 This keychain is made out of a rattlesnake tail with rattle. 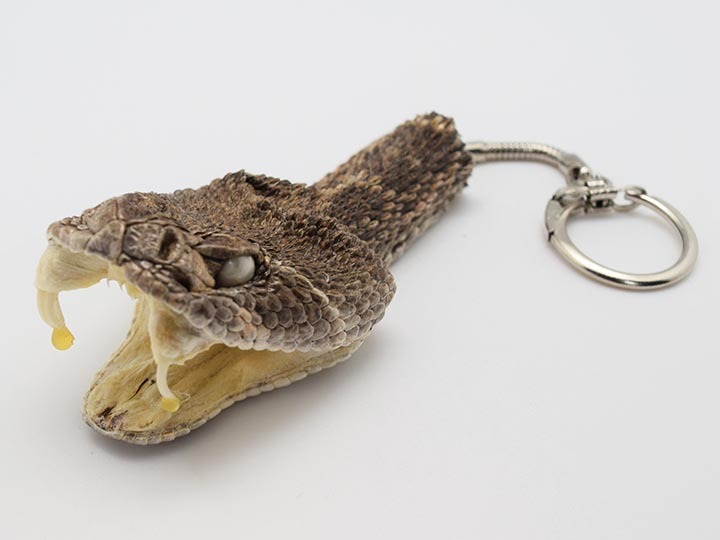 It is attached to a snake-style keychain. 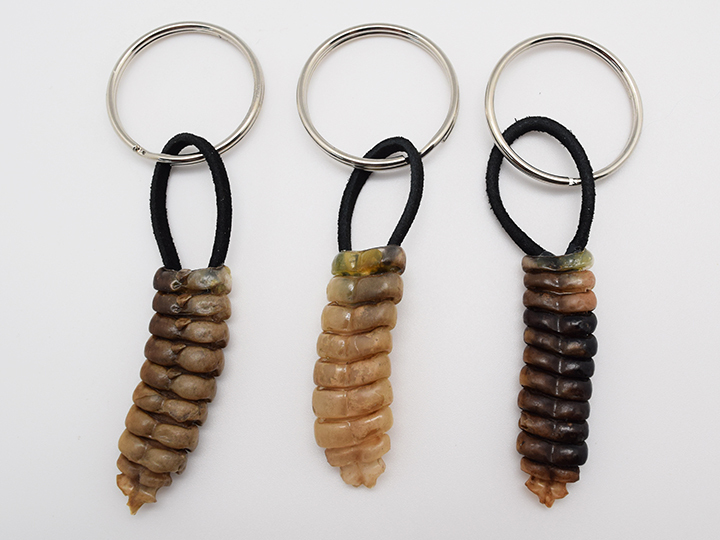 They come in varying lengths.